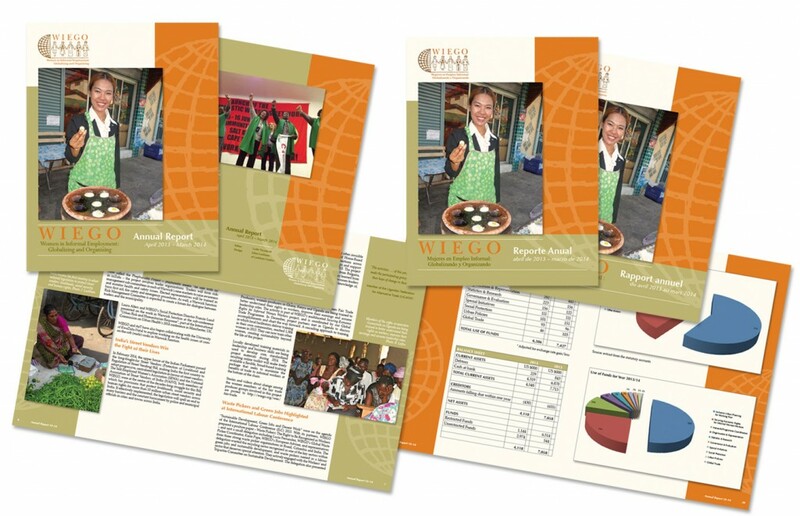 Luckham Creative finalized WIEGO’s Annual Report for printing this past week. Luckham Creative has been providing design and photography services for WIEGO (Women in Informal Employment: Globalizing and Organizing) for 6 years now and this is the 5th year they have asked us to do their Annual Report. Each year we have expanded on the design, keeping it consistent with preceding years but improving the overall look. This year we produced the report in three languages, English, French and Spanish. Printing was handled by Quartz Solutions in Ottawa and shipped to their Head Office at Harvard University in Boston and to Yogyakarta in Indonesia in time for WIEGO’s General Assembly next week. Usually a job of this nature can be very complex and stressful, but with the 6 year relationship we have it went very smoothly, even with the three languages. It’s always a pleasure working with WIEGO’s Global Team!